Published on 20 April 2012. I forgot to upload this yesterday – oops! 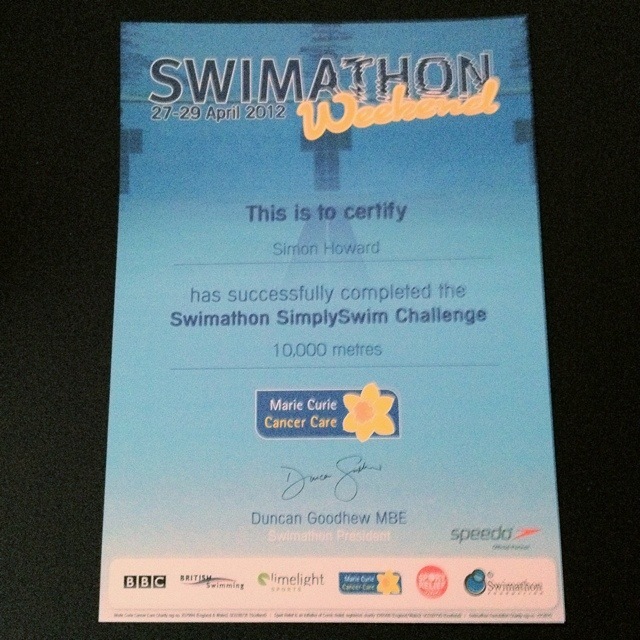 So yesterday’s photo-a-day is my Swimathon certificate. If you still haven’t sponsored me, please do! Marie Curie Cancer Care and I would be grateful for any donation, no matter how small. You can give at http://sjh.im/SimonSwim until 29th April 2012. This 1,614th post was filed under: Photo-a-day 2012, Sponsored Swim 2012.